GH3EQ-1229 | Size: 100 ml / 3.4 fl. oz. Especially developed for the care of sensitive area around the eyes, the cream has the effect of reducing deep, expression or degenerative wrinkles and dark circles. Matrixyl® synthe’6® increases the density and firmness of the dermis, fills in wrinkles from the inside. It stimulates all six major constituents of the skin matrix (collagen I, III and IV, fibronectin, hyaluronic acid and laminin-5) and the dermal–epidermal junction (DEJ) and ensures an optimal architecture of the tissue. The combination of vegetable oils and fats (Squalane and Shea Butter) and powerful antioxidants (Vitamins A and E) restores the hydrolipidic barrier of the skin and balancesthe antioxidant homeostasis of the epidermis. Gatuline Expression Extract visibly improves the eye contour, by relaxing the muscles to minimize the appearance of expression lines (including crow’s feet) and wrinkles. Aquaxyl prevents dehydration by stimulating the production of ceramides and the synthesis of proteins. Optimizes the water circulation and increases the water reserves, normalizes desquamation, smoothing wrinkles and improving skin’s micro-relief. 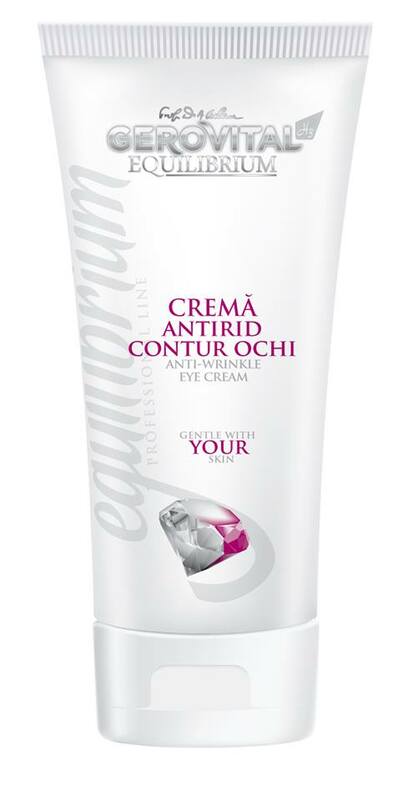 Usage: Apply the cream under the eye, around orbital bone, and on eyelid using gentle patting motion. Use morning and night or at the end of your cosmetic treatment. Apply on a cleansed eye contour area. Massage gently with circular movements to help the cream's better absorption.